Another day brings news of a yet a new massacre on the Shia community in Pakistan. 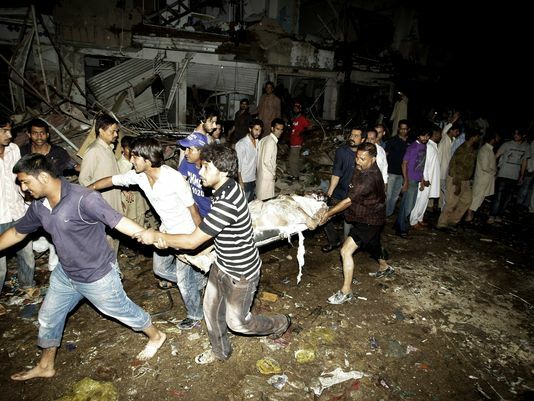 By last count, at least 47 people have been killed in a bomb attack in the Shia enclave inKarachi Pakistan by the name of Abbas Town with many other injured. 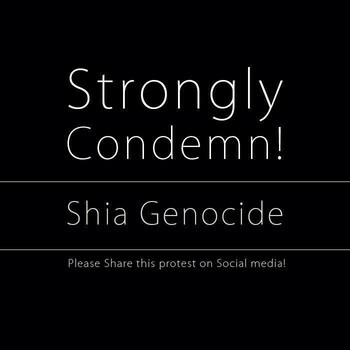 I’m ashamed of this brutality and for the 3rd consecutive large scale attack on the Shia people in Pakistan. The founder of the nation, Jinnah and his sister Fatima Jinnah were Shia Pakistanis. My wife’s family is Shia. Now for the first time, today I am also a Shia Pakistani. I feel for the fear that this Shia community across Pakistan must be feeling for the last several weeks. Earlier this year, nearly 200 people had been killed in two separate attacks targeting the Shia community in the south-western city of Quetta in January and February. And for what? For having a different view on certain events in Islam’s history? For that these murderous theologically ‘purists’ would want us to believe? Are they not Muslim? And if you answered no to that, then are they not at least human? These are your fellow Pakistani who cheer for the same cricket team, sing the same anthem, love the same green and white crescent star flag, they read the same history books, and eat the samechaat. Do they not also face Mecca when praying? Did Allah not also create them? Stop killing everyone that does not see the Qu’ran with your Salafist and Wahaabi eyes. No matter what Islamic school of thought you may follow, one thing is certain, bombing and killing scores of innocent women and children is not something God, any God would ever condone, certainly not in his name. Certainly, this is not Prophet Muhammad’s Islam. 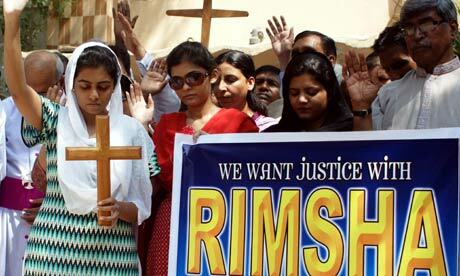 I wish the people of Pakistan somehow would put a stop to this weekly targeting of this community throughout Pakistan. Obviously this is the job of a competent government to arrest and dismantle the network throughout the country so that there are no more perpetrator left. This is not the job of the populace. Sadly, the most inept administration in Pakistan’s history is still in power. Zardari’s government is highly incompetent in running a country effectively. With elections a few weeks away, the desperate general population of the country is hopeful for a good change. The current sad and alarming nation in the country is not what the father of the nation, Mohammed Ali Jinnah envisioned. Jinnah was a “was an Ismaili by birth and according to Vali Nasr, a noted expert on Shia Islam, he believed that Jinnah was a Twelver Shia by confession, although not a religiously observant man. He wanted a tolerant and secular Pakistan, a nation of majority Muslims, but one that also respected all religions and their right to exist freely within its borders. What we have is the opposite of that and not the Islam nor the country that neither the prophet nor the leader had preached about. Pakistan needs to stop this insanity. Stop killing Shias, stop imprisoning Christians for allegedly ‘blaspheming’, stop desecrating the graves of Ismailis and most of all I want these criminals to stop destroying this already fractured country by carrying attacks on helpless citizens. A nation unable to protect its minorities is not in the end much different than Germany during the Holocaust. The standing by of the majority Sunni population will mean that they have blood on their hands also. This time its Shia blood. Tomorrow it will be Christian or Sufi blood, or perhaps that of a soldier or policeman targeted by these militants and terror outfits. Arrest and grant death penalty to those who are responsible. Pakistan needs to get rid of all the militant groups for the safety of the common citizen and make peace with its neighbor India instead of cultivating many of these terror groups for proxy wars in Kashmir. The same dog bites you back and is not controllable. It should have never been raised for attacking. Best to put it to sleep, make peace with India, solve the problems of its own people and develop the economy and provide safety and security for a hungry population. Of course for this to all happen, Pakistan needs to have a fair and free election later this year where the best person should win, one who is a patriot and wants to better the nation and not enrich their pockets from it. I am not sure there is anyone in the bunch running that qualifies.Imran Khan comes pretty close, although not a candidate without his own fallacies. All I can say week after week after hearing the news that comes from Pakistan is that may God help this nation, the most precarious country in the world. A car bomb exploded outside a mosque on Sunday, killing 37 people and wounding another 141 in a Shiite Muslim dominated neighborhood in the southern Pakistan city of Karachi — the third mass casualty attack on the minority sect in the country this year. No one has taken responsibility for the bombing, but Shiite Muslims have been increasingly targeted by Sunni militant groups in Karachi, Pakistan’s economic hub and site of years of political, sectarian and ethnic violence, as well as other parts of the country. The bomb exploded outside a Shiite mosque as people were leaving evening prayers in Pakistan’s largest city. Initial reports suggested the bomb was rigged to a motorcycle, but a top police official, Shabbir Sheikh, said later that an estimated 100 kilograms (220 pounds) of explosives was planted in a car. Col. Pervez Ahmad, an official with a Pakistani paramilitary force called the Rangers, said a chemical used in the blast caught fire and spread the destruction beyond the blast site. Several buildings nearby were engulfed in flames. Men and women wailed and ambulances rushed to the scene where residents tried to find victims buried in the rubble of collapsed buildings. The blast left a crater that was 2 meters (yards) wide and more than 1 meter (4 feet) deep. “I was at home when I heard a huge blast. When I came out, I saw there was dust all around in the streets. Then I saw flames,” said Syed Irfat Ali, a resident who described how people were crying and trying to run to safety. A top government official, Taha Farooqi, said at least 37 people were confirmed dead and 141 more were wounded. Sunni militant groups have stepped up attacks in the past year against Shiite Muslims who make up about 20 percent of Pakistan’s population of 180 million people. Sunni militants linked to al-Qaida and the Taliban view Shiites as heretics. Tahira Begum, a relative of a blast victim, demanded the government take strict action against the attackers. It was the third large-scale attack against members of the minority sect so far this year. Two brazen attacks against a Shiite Hazara community in southwestern city of Quetta killed nearly 200 people since Jan 10. Pakistani militant group Lashkar-e-Jhangvi claimed responsibility for the bombings, which ripped through a billiard club and a market in areas populated by Hazaras, an ethnic group that migrated from Afghanistan more than a century ago. 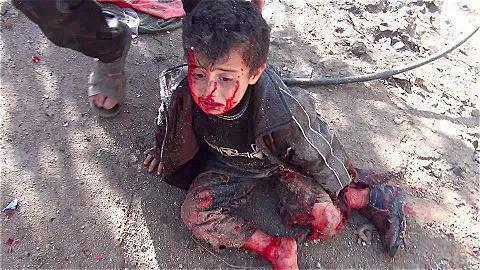 Most Hazaras are Shiites. Pakistan’s intelligence agencies helped nurture Sunni militant groups like Lashkar-e-Jhangvi in the 1980s and 1990s to counter a perceived threat from neighboring Iran, which is mostly Shiite. Pakistan banned Lashkar-e-Jhangvi in 2001, but the group continues to attack Shiites. According to Human Rights Watch, more than 400 Shiites were killed last year in targeted attacks across the country, the worst year on record for anti-Shiite violence in Pakistan. The human rights group said more than 125 were killed in Baluchistan province. Most of them belonged to the Hazara community. Human rights groups have accused the government of not doing enough to protect Shiites, and many Pakistanis question how these attacks can happen with such regularity. A resident who lived in the area where the bomb went off Sunday said there had been another blast nearby just a few months ago. “The government has totally failed to provide security to common people in this country,” Hyder Zaidi said. After the Jan. 10 bombing in Quetta, the Hazara community held protests, which spread to other parts of the country. The protesters refused to bury their dead for several days while demanding a military-led crackdown against the Lashkar-e-Jhangvi group. Pakistan’s president dismissed the provincial government and assigned a governor to run Baluchistan province. No operation was launched against the militant group until another bombing in February killed 89 people. The government then ordered a police operation and has said some members of the group have been arrested. One of the founders of the group, Malik Ishaq, was among those detained and officials said he could be questioned to determine if his group is linked to the latest violence against Shiites. The repeated attacks have left many Shiites outraged at the government. After the last blast in Quetta, Shiites in Karachi and other cities also demonstrated in support for their brethren in Quetta. Shiites in Karachi set fire to tires and blocked off streets leading to the airport. Many Karachi residents planned to strike on Monday as a form of protest following Sunday’s attack in their city. On Monday, my mother’s and sister’s eye doctor was assassinated. He was a Shiite. He was shot six times while driving to drop his son off at school. His son, age 12, was executed with a single shot to the head. Tuesday, I attended a protest in front of the Governor’s House in Lahore demanding that more be done to protect Pakistan’s Shiites from sectarian extremists. These extremists are responsible for increasingly frequent attacks, including bombings this year that killed more than 200 people, most of them Hazara Shiites, in the city of Quetta. As I stood in the anguished crowd in Lahore, similar protests were being held throughout Pakistan. Roads were shut. Demonstrators blocked access to airports. My father was trapped in one for the evening, yet he said most of his fellow travelers bore the delay without anger. They sympathized with the protesters’ objectives. Minority persecution is a common notion around the world, bringing to mind the treatment of African-Americans in the United States, for example, or Arab immigrants in Europe. In Pakistan, though, the situation is more unusual: those persecuted as minorities collectively constitute a vast majority. A filmmaker I know who has relatives in the Ahmadi sect told me that her family’s graves in Lahore had been defaced, because Ahmadis are regarded as apostates. A Baluch friend said it was difficult to take Punjabi visitors with him to Baluchistan, because there is so much local anger there at violence toward the Baluch. An acquaintance of mine, a Pakistani Hindu, once got angry when I answered the question “how are things?” with the word “fine” — because things so obviously aren’t. 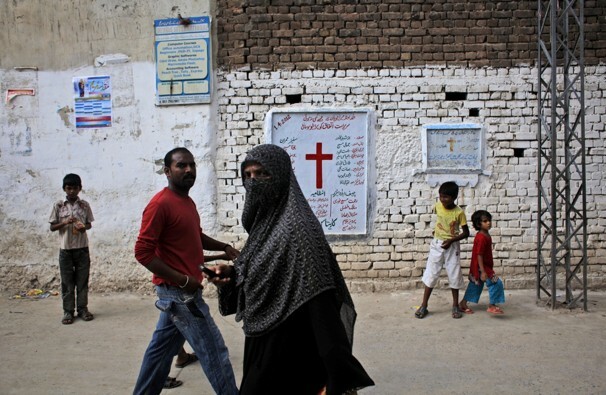 And Pakistani Christians have borne the brunt of arrests under the country’s blasphemy law; a governor of my province was assassinated for trying to repeal it. What then is the status of the country’s majority? In Pakistan, there is no such thing. Punjab is the most populous province, but its roughly 100 million people are divided by language, religious sect, outlook and gender. Sunni Muslims represent Pakistan’s most populous faith, but it’s dangerous to be the wrong kind of Sunni. Sunnis are regularly killed for being open to the new ways of the West, or for adhering to the old traditions of the Indian subcontinent, for being liberal, for being mystical, for being in politics, the army or the police, or for simply being in the wrong place at the wrong time. At the heart of Pakistan’s troubles is the celebration of the militant. Whether fighting in Afghanistan, or Kashmir, or at home, this deadly figure has been elevated to heroic status: willing to make the ultimate sacrifice, able to win the ultimate victory, selfless, noble. Yet as tens of thousands of Pakistanis die at the hands of such heroes, as tens of millions of Pakistanis go about their lives in daily fear of them, a recalibration is being demanded. The need of the hour, of the year, of the generation, is peace. Pakistan is in the grips of militancy because of its fraught relationship with India, with which it has fought three wars and innumerable skirmishes since the countries separated in 1947. 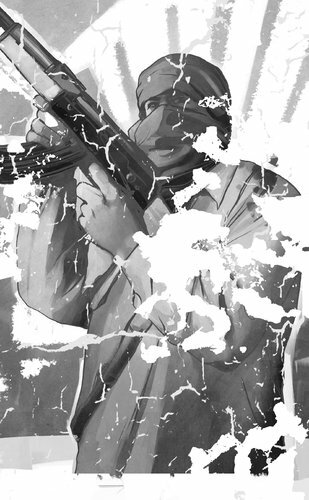 Militants were cultivated as an equalizer, to make Pakistan safer against a much larger foe. But they have done the opposite, killing Pakistanis at home and increasing the likelihood of catastrophic conflicts abroad. Normalizing relations with India could help starve Pakistani militancy of oxygen. So it is significant that the prospects for peace between the two nuclear-armed countries look better than they have in some time. India and Pakistan share a lengthy land border, but they might as well be on separate continents, so limited is their trade with each other and the commingling of their people. Visas, traditionally hard to get, restricted to specific cities and burdened with onerous requirements to report to the local police, are becoming more flexible for business travelers and older citizens. Trade is also picking up. A pulp manufacturer in Pakistani Punjab, for example, told me he had identified a paper mill in Indian Punjab that could purchase his factory’s entire output. These openings could be the first cracks in a dam that holds back a flood of interaction. Whenever I go to New Delhi, many I meet are eager to visit Lahore. Home to roughly a combined 25 million people, the cities are not much more than half an hour apart by plane, and yet they are linked by only two flights a week. Cultural connections are increasing, too. Indian films dominate at Pakistani cinemas, and Indian songs play at Pakistani weddings. Now Pakistanis are making inroads in the opposite direction. Pakistani actors have appeared as Bollywood leads and on Indian reality TV. Pakistani contemporary art is being snapped up by Indian buyers. And New Delhi is the publishing center for the current crop of Pakistani English-language fiction. A major constraint the two countries have faced in normalizing relations has been the power of security hawks on both sides, and especially in Pakistan. But even in this domain we might be seeing an improvement. The new official doctrine of the Pakistani Army for the first time identifies internal militants, rather than India, as the country’s No. 1 threat. And Pakistan has just completed an unprecedented five years under a single elected government. This year, it will be holding elections in which the largest parties all agree that peace with India is essential. Peace with India or, rather, increasingly normal neighborly relations, offers the best chance for Pakistan to succeed in dismantling its cult of militancy. Pakistan’s extremists, of course, understand this, and so we can expect to see, as we have in the past, attempts to scupper progress through cross-border violence. They will try to goad India into retaliating and thereby giving them what serves them best: a state of frozen, impermeable hostility. They may well succeed. For there is a disturbing rise of hyperbolic nationalism among India’s prickly emerging middle class, and the Indian media is quick to stoke the fires. The explosion of popular rage in India after a recent military exchange, in which soldiers on both sides of the border were killed, is an indicator of the danger. So it is important now to prepare the public in both countries for an extremist outrage, which may well originate in Pakistan, and for the self-defeating calls for an extreme response, which are likely to be heard in India. Such confrontations have always derailed peace in the past. They must not be allowed to do so again. In the tricky months ahead, as India and Pakistan reconnect after decades of virtual embargo, those of us who believe in peace should regard extremist provocations not as barriers to our success but, perversely, as signs that we are succeeding. Pakistani police have revised the cause of a blast that killed 83 people on Saturday, saying a suicide bomber was behind the attack that pulverized a busy marketplace. The explosion targeted Shiite Muslims in Hazara, on the outskirts of the southwestern city of Quetta, authorities said. Police now say a suicide bomber, driving an explosive-laden water tanker, rammed the vehicle into buildings at the crowded marketplace. The water tanker carried between 800 and 1,000 kilograms (1,760 to 2,200 pounds) of explosive material, Quetta police official Wazir Khan Nasir said. Previously, police said explosives were packed in a parked water tanker and were remotely detonated. The blast demolished four buildings of the marketplace, leaving dozens dead and 180 injured. The banned Sunni militant group Lashkar-e-Jhangvi claimed responsibility for the attack, spokesman Abu Bakar Sadeeq told CNN Sunday. The assault left some wondering what could stop the bloodshed in Quetta. Zulfiqar Ali Magsi, the governor and chief executive of Balochistan province, told reporters Saturday that law enforcement agencies were incapable of stopping such attacks and had failed to maintain law and order in Quetta. Pakistan, which is overwhelmingly Sunni, has been plagued by sectarian strife and attacks for years. Last month, two deadly suicide bombings in a predominantly Shiite neighborhood of Quetta known as Alamdar Road killed 85 Shiite Muslims. Police described that double bombing as one of the worst attacks on the Shiite minority. Lashkar-e-Jhangvi also claimed responsibility for that dual attack. According to its interpretation of Islam, Lashkar-e-Jhangvi believes that Shiites are not Muslims. The group believes Shiites insult close companions of Muslim’s prophet Muhammad. Therefore, the militant group believes killing Shiites is a justified in Islam. Families of victims from Alamdar Road protested for several days bylaying their relatives’ bodies on a road in Quetta until the federal government dissolved the provincial government and imposed governor rule. Although Balochistan is the largest Pakistani province in Pakistan, analysts and some locals have criticized the federal government for neglecting it, leading to instability. The Shiite community has repeatedly asked for more protection but to no avail. During the Alamdar Road protest, Pakistani Prime Minister Raja Pervez Ashraf met with Shiites in Quetta, Pakistani media reported. He agreed to toss out the provincial government and putting a governor in charge. All administrative powers of the provincial government were given to the governor, who deployed paramilitary forces to maintain law and order in Quetta. 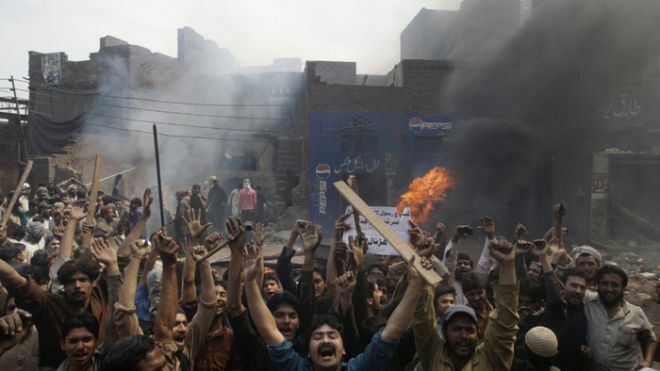 Pakistanis for Peace Editor’s Note- This attack and the continued attacks on Shiites, Christians and other minorities in Pakistan completely goes against the teachings of the prophet and civilized society in general. We are deeply saddened by this and past attacks and condemn all violent attacks in the name of religion and any other ideology. May God help Pakistan and soon.